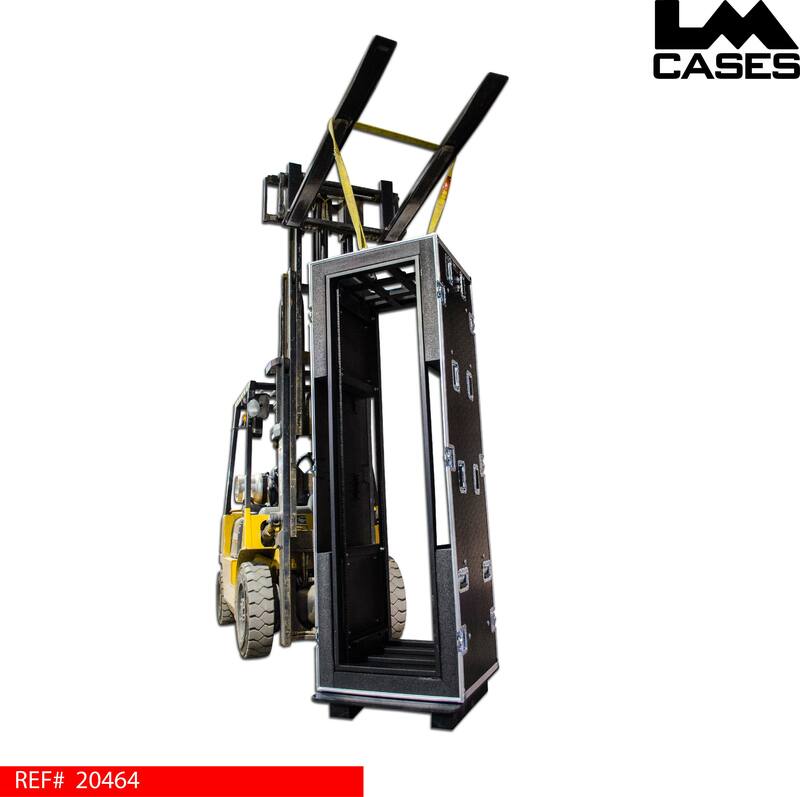 This case was designed for Evertz Microsystems. The case is designed to hold a custom 40 space unit that weighs 800lbs! 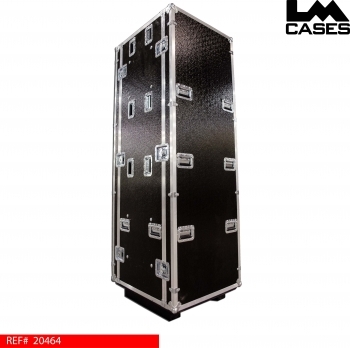 The unit needs to travel to different venues and be set up. To accommodate this, heavy duty Colson 4" x 2" casters were used on the rear lid to allow the case to be shipped, and fit through a standard door. The case and unit are extremely heavy; the case is designed to be mechanically lifted by the inner rack shell. In case a forklift or crane are not available, 28 deep recessed handles were used to allow the case to be manually lifted. 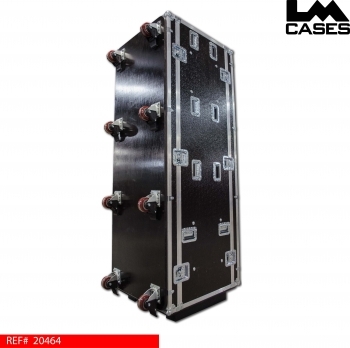 The inner rack shell was built out of steel box tubing, welded, and framed in with 3/16" steel plating by the in house LM Cases metal department. 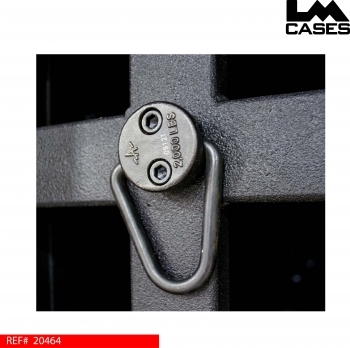 The shell is outfitted with 44 spaces of pre tapped rack rail and black texture coated. 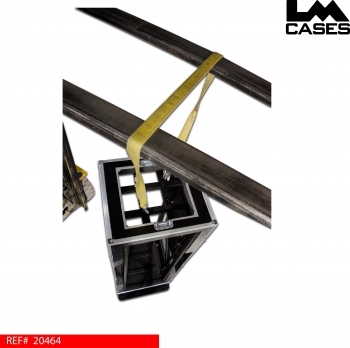 The inner shell also featured 4 rig points allowing the case to be lifted from the inside out. 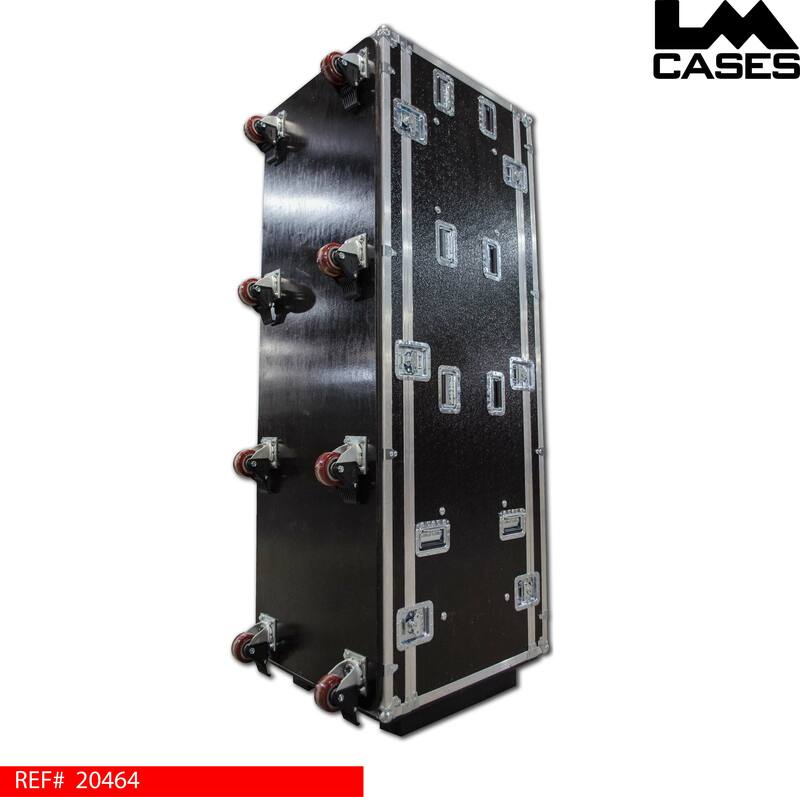 The exterior case is built out of 1/2" plywood covered with black textured laminate. 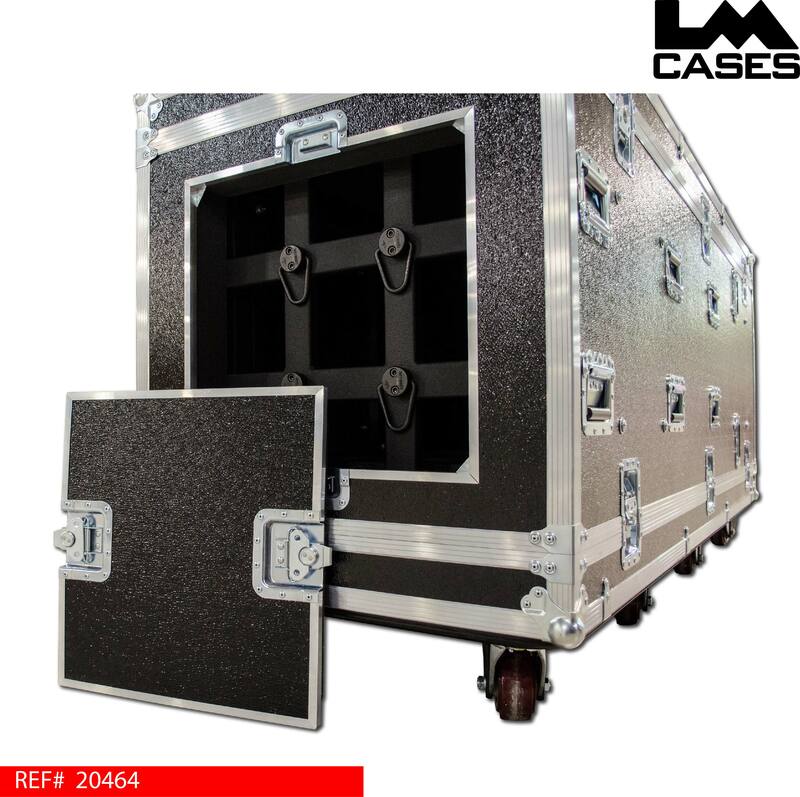 The case rides on HD Colson 4" x 2" casters mounted on the rear lid, when in use; it rests on 4" x 4" Black HDPE plastic runners. The exterior case featured a trap door mounted on the top to allow access to the rig points mounted on top of the inner rack shell. Special thanks to Evertz Microsystems!